You are here: Home / Farm & Garden / Beef Cattle / Why is That Cow Eating Her Placenta? Why is That Cow Eating Her Placenta? First you see the cute new calf. Then, you see the cow eating her placenta. Yuck! The cow eating her placenta after birth is actually a pretty normal thing. Believe it or not, the cow eating her placenta is a healthy cow. After the calf is born, the placenta sack must also be born within eight hours. Then, what should be done with it? Well, thankfully, this cow is cleaning up her own mess. But why else would this cow be eating her placenta? Well, I’ve been raising cattle for over 30 years but I still remember clearly as a child: Let the cow eat her placenta. It’s healthy for her. It’s giving her energy. This is what I was taught to believe. 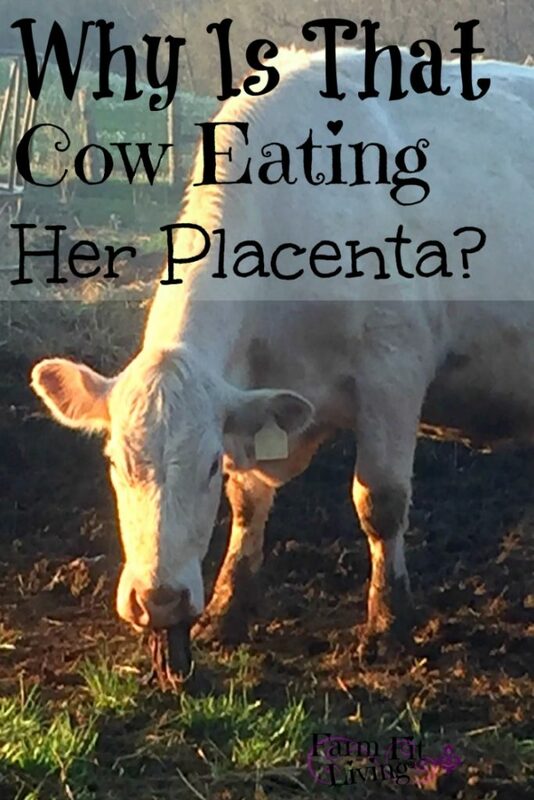 And when I read on different sites and sources mentioning possible side effects of eating placenta, it’s hard for me to dismiss three decades of allowing cows to eat their placenta after raising and managing a healthy grass fed cow herd with no problems from natural practices, like eating their placentas. 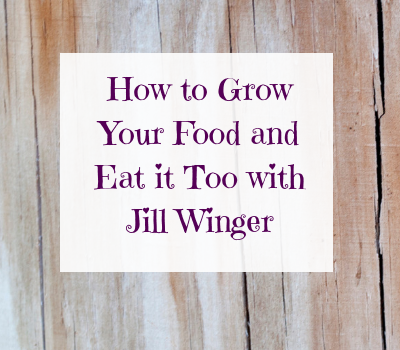 I’m going to share with you my thoughts and link to some scientific sources from research. I’m not saying it’s good or bad when you see a cow eating her placenta. Really, I could care less if she eats it or not. I just want my cow to be a healthy good mom and take care of her baby. But I am going to talk about three specific topics and answer some questions you might be having. 3 Main Reasons why you’d see a cow eating her placenta. Why do some animals eat their placenta? Some possible side effects of eating placenta for the cow. The first reason you might see a cow eating her placenta is for protection. That new baby smell is so sweet, isn’t it? Sweet enough to eat! Predators love a new baby calf. This cow is eating her placenta to protect her calf from predators. Well, isn’t she a smart mama cow? Here’s the deal: If the placenta stays present, the smell of fresh blood and fluid may attract predators to the cow and calf. As the cow eats her placenta, she gets rid of the evidence and sweet smell of her new baby calf. It’s a safety matter that I appreciate very much as a cattle producer. Plus, the placenta is packed full of good nutrition for the new mama. At least she thinks so. Birth is very hard work. Not only is it a workout for the female’s body, but a lot of fluid and blood is lost within the labor process. Therefore, the cow automatically thinks she must reestablish those nutrients lost right away. Some sources say that the placenta is chalked full of good nutrients (Calcium and Iron) and hormones for the cow. These nutrients and hormones will help the cow recover internally. And this is why other species (including some humans) will also consume their placenta. Eating her placenta may or may not help this cow be a better mother because her body will be on the road to recovery. She will be able to produce plenty of milk for her baby as well due to the natural hormones being replaced by the placenta. But, there’s one more reason mama cow might be interested in her placenta. What?!? Sorry, but if the cow didn’t like the taste of the placenta she would not be eating it. Cows are very selective in what they like to eat. I know this just by walking out into the pasture and noticing which grasses they like and which ones they don’t. 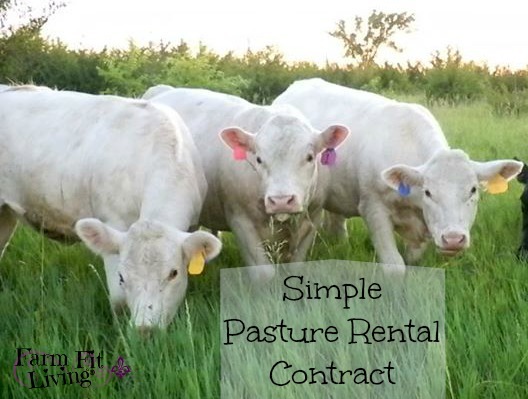 For more info on managing Spring Pastures, Go Here. Even though cattle are known to be herbivores, that cow sure looks like she’s enjoying the taste of her bloody placenta! And it’s true that cattle are primarily herbivores, meaning they eat plants primarily. But, I would call them the occasional omnivore for this reason. Omnivores are animals that eat both plants and animals. Some cows do stick to the all-veggie diet. These cows do not eat their placenta and simply choose to move their calves somewhere else away from the placenta to protect them. This cow took her calf very far away and stayed there for a few days. Then, she returned to the herd. It’s not a bad idea to dispose of placenta if the cow decides she doesn’t want to eat it. Generally, I allow my guard dog Si to take care of the placenta when the it is abandoned. He thinks they taste delicious, too. 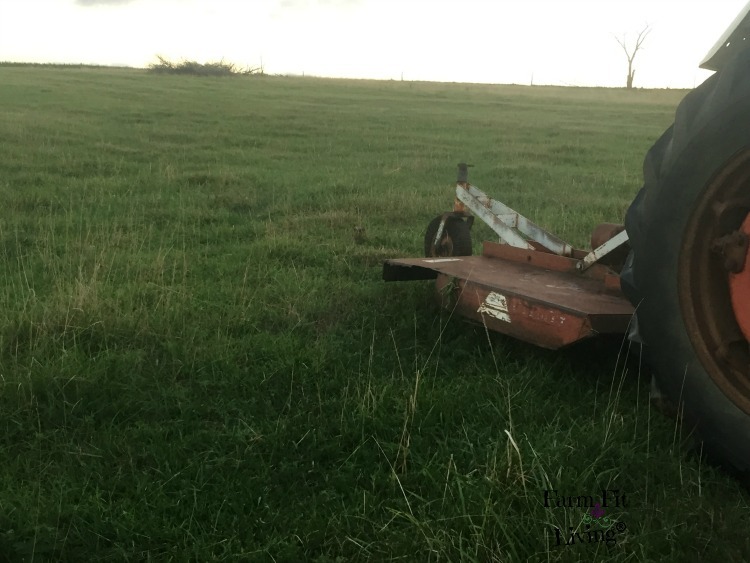 The main important thing is for that placenta to be disposed of one way or another to prevent predators from being lured into your pasture. I heart science. I am an Animal Scientist and really appreciate research. There is some sparce research out there on the effects of placenta on cow health. A study that results showed increased feed intake after consuming placenta: This abstract of the study from the Journal of Dairy Science can be found here. Note that the study does say it really has little to no effect on the health of the cow. Another possible side effect could be digestive turmoil. I couldn’t find a study on this – Just opinion. And I’ve never seen cows having digestive problems. So, as you can see, there is very little research that has been done on this topic. We can only provide knowledge, as cattle producers, with what we can see and what our experience is. Again, cows are smart creatures. They are selective eaters and great mothers. If you can trust the cow’s instinct, you can trust that eating her placenta is the right thing she can do. We’ve learned a few things here. She could be simply protecting her calf or meeting a nutritional need. Or she may just love the taste of her placenta. Or, she’s really hungry for a little extra iron and calcium. One thing is for sure. This cow is a healthy cow who is well on her way to raising her healthy and happy calf. « Are You Sure You Can Handle Homesteading? This took me back a few years. I grew up on a dairy farm! I reminisce over at http://www.thefarmersplace.com Click on Raised in a Barn. I remember our goats doing the same thing when I was a kid. Back then I just figured it was part of that “goats will eat anything” reputation. Good observation, Ashe! Some of my goats do this, too but most of my goats do not. So, I have to remove the placenta to a safe place myself.